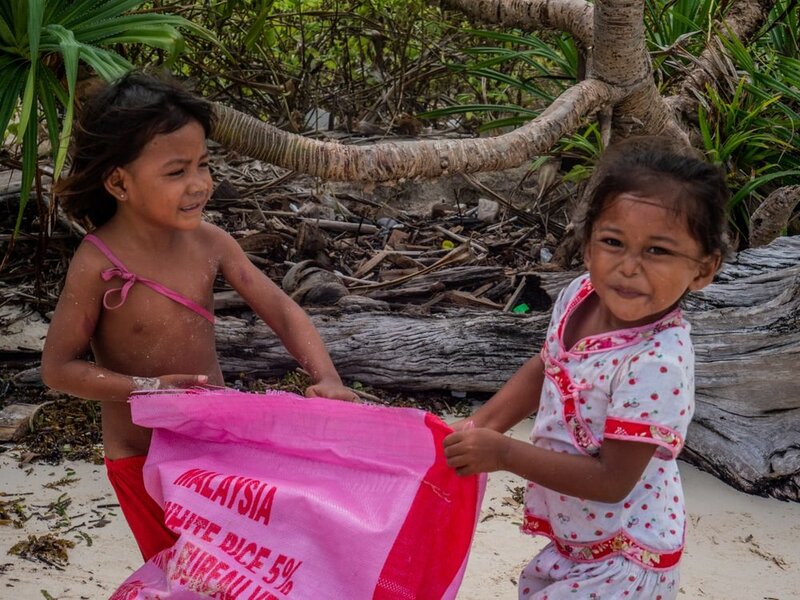 17 of us went to Kalapuan to engage with the local community of Bajau children, and to teach them to be excited about beach clean ups! We organised into three teams; Team Sandwich who were in charge of making 60 sandwiches for the children, Team Community Engagement who were getting the kids excited and involved in the beach clean, and Team Weight who weighed the rubbish bags that we collected. Despite the stormy weather, Team Sandwich got us off to a good start, making jam, peanut butter and (the kid’s favourite) egg mayo sandwiches.We took both boats to Kalapuan, bracing the waves and chance of rain! 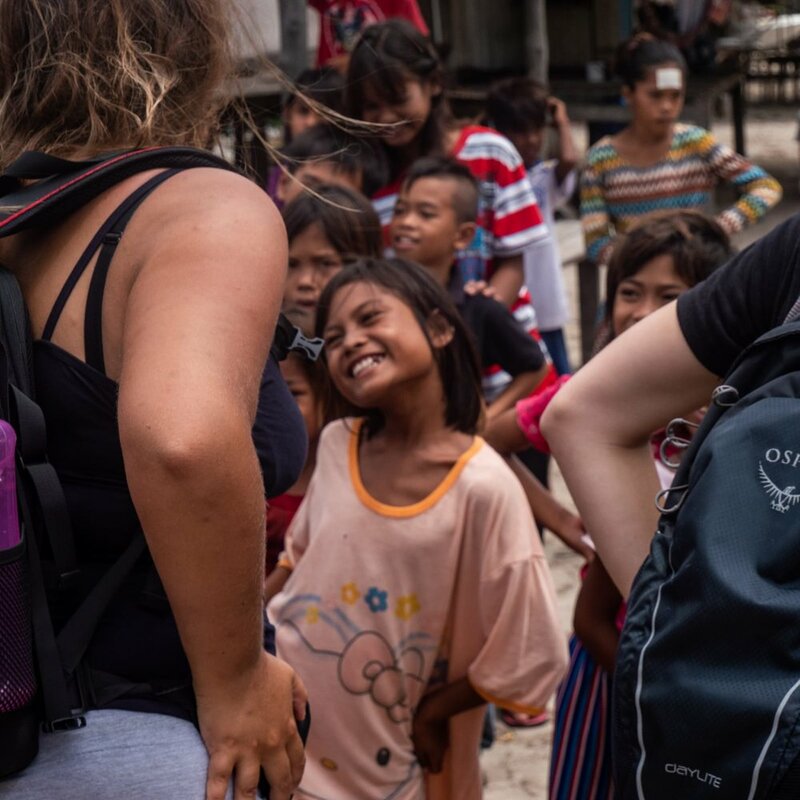 When we got to the island, we hopped ashore, and one of our local staff, Welman, started gathering the excited children. Our Science Officer Jeeth then spoke to them all; explaining what we were going to do, and organising them into rows so we could give them the sandwiches. There was also a fluffy goat that was very interested in the egg sandwiches, he licked my hand then butted it when I wouldn’t give him any! We then gave them the shrimp bags, and they were off! Team Community Engagement had planned on organising some games for them to be excited to clean, but they really weren’t needed! They seemed very happy running off down the beach with our volunteers, all working together to pick up plastic, polystyrene, flip flops… and anything else we could find! We did bring some music with us, a playlist full of local music, and some of our favourites too. After we collected 36 (!) shrimp bags full of rubbish, we headed back to the jetty. Not before we had a dance break though, teaching them how to Macarena, showing them the baby shark dance, and blasting some Justin Bieber, which was their request! The children seemed to be very interested in the volunteers that have tattoos, asking them to show them all off! We loaded the boat with the rubbish, then the children walked us to the main jetty. We made sure we supplied the music, with Saturday Night Fever proving to be a hit! Walking back hand in hand with the kids, they were singing the English alphabet and counting as high as they could. Getting back to the jetty, we had another quick dance break, before the kids waved us off. All of the volunteers have been talking about how much they enjoyed the morning spent with them, how the children were so lovely and smiling… and obviously enjoying our dance moves. Getting back to Pom Pom, Team Weight swung into action, weighing the rubbish bags that we collected, with a grand total of 221kg being removed from the Kalapuan beach!! 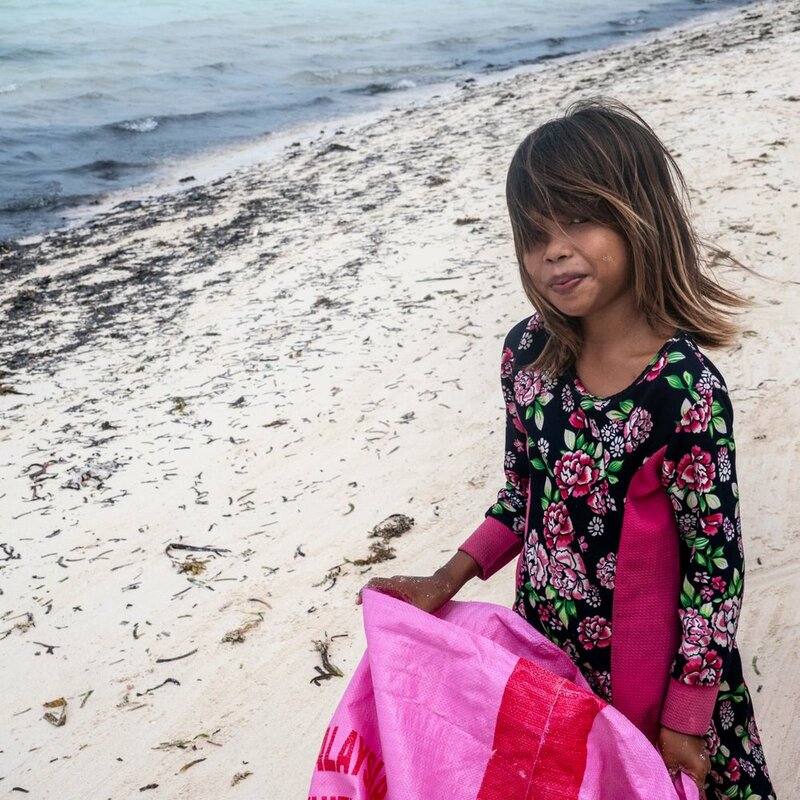 We’re hoping the kids will continue to collect the plastic around their homes, or at least we hope that we have raised awareness of what is bad for the ocean!